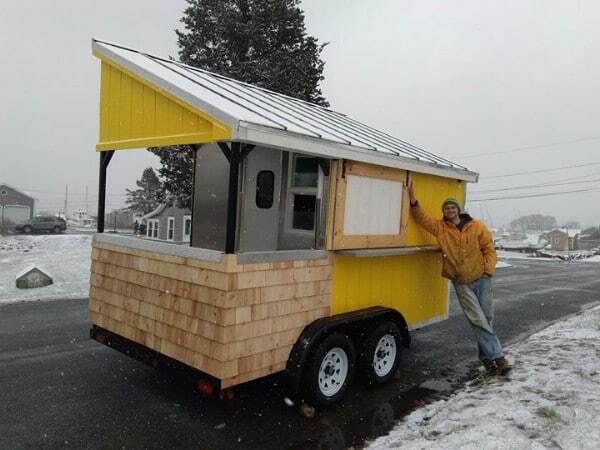 I usually try to stick with featuring actual houses on this site, but now and again there’s another tiny structure that I cannot help but share, and this time it is a food cart. It has a lot of “homey” accents in its design, so it seems right at home here in our blog. 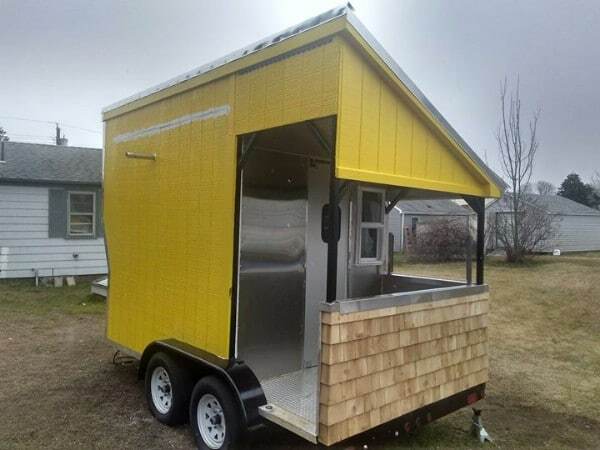 With its yellow siding, cute roof, and even room for a little flower planter, it has the look and feel of a little house on wheels. 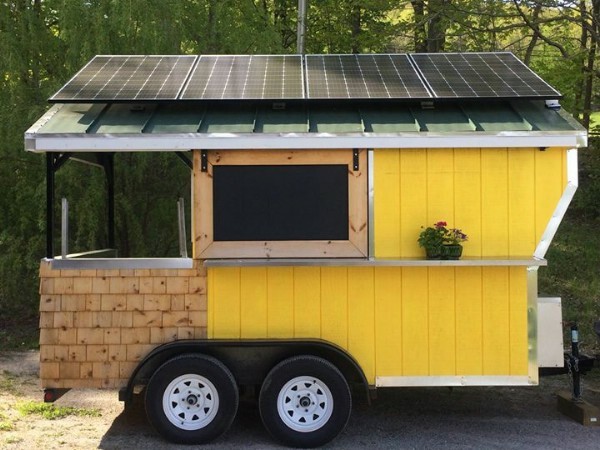 On the roof of course you will spot the solar panels right away—a great economical feature which allows this food cart to function off the grid. See that window in the front? That slides to the side like a barn door, and has some of the same rustic flavor. It can also be used to hold menus. 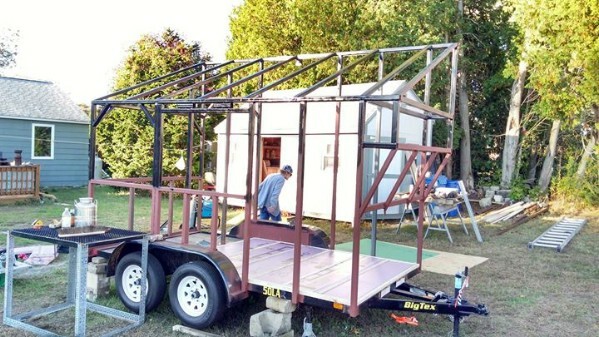 Along with the solar panels, you have a wind generator and a propane hot water heater at your disposal. The wall plates inside are made out of stainless steel, while the floor is diamond plate aluminum. This lovely shot shows off the high contrast of the yellow siding with the surrounding snow. 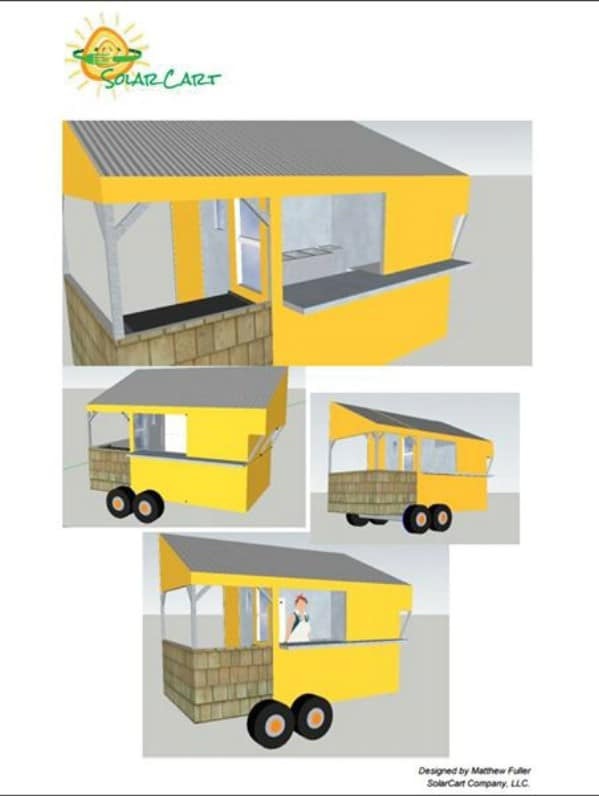 Brr, if I were out on this cold winter’s day, I’d want to drop by this welcoming, summery food cart for a hot drink or a bite to eat. I imagine that this cart would get attention everywhere it went. It would do a wonderful job arousing curiosity and drawing pedestrian traffic over. The cart isn’t just stylish and functional—it is also compliant. It conforms to the strictest fire and food regulations so that you can use it anywhere. 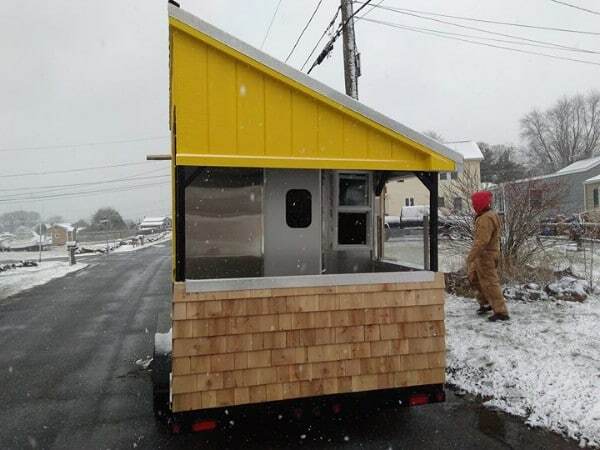 This photo of the food cart under construction does a good job showing off its inner dimensions a bit. You can picture more easily what it might be like working in this cart (just in terms of roominess) when you see it like this. 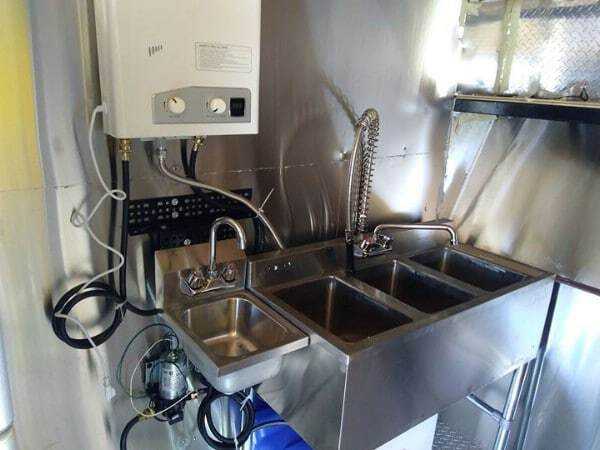 Appliances in the kitchen include a hand sink as well as a specialized three-bay sink. There is also a 36” flattop grill. Here are a few concept images of the solar cart so you can get an even better feel for it. 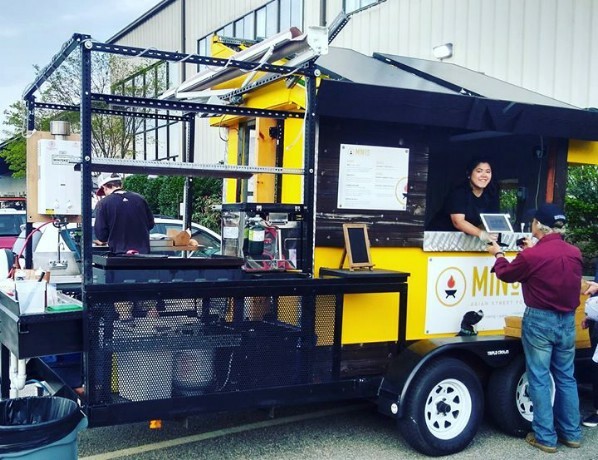 If you want to learn more about this tiny eco-friendly food cart, you can visit Tiny House Marketplace and check out the for-sale post.